You Are Here: Home > Why Is Car Service Important? Why Is Car Service Important? A vehicle is an integral part of your life. You need it to get to work or take the kids to school. No matter how reliable or well-built, every vehicle sustains wear. At Mitsubishi Store Clarksville, we want your car or SUV to live a long life well after you’ve driven it off the lot. That’s why we recommend regular service for your vehicle. Visit our local Clarksville, IN Mitsubishi dealership to purchase a new or pre-owned Mitsubishi Outlander or Mirage, and then bring it back for regular maintenance to ensure you enjoy the best performance. 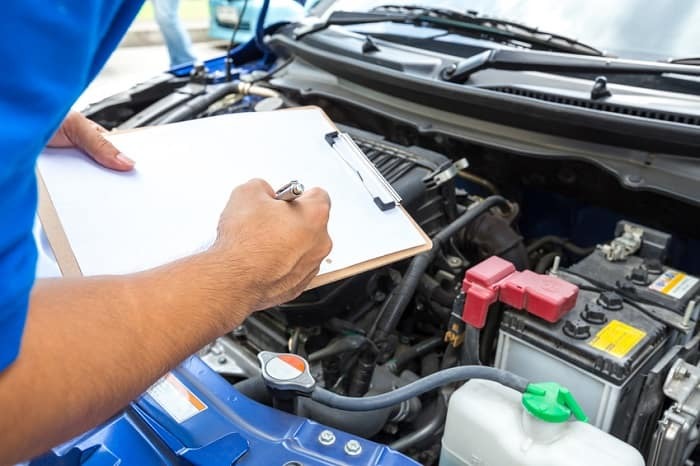 You can’t afford to ignore routine maintenance if you want your car to stay in prime condition and avoid costly repairs. It’s important to find a trustworthy service center to provide quality maintenance for the life of your vehicle. Changing your oil every 3,000-5,000 miles isn’t always convenient, but putting it off puts your car’s engine at risk. Changing the oil will ensure the powertrain stays clean, its vital parts stay lubricated, and that it will perform to the standard you expect. Plus, failing to do this most basic maintenance can lead to engine shutdown and high-cost repairs. If you’re looking for a reliable, trustworthy service near Louisville, KY for everything from routine maintenance to comprehensive repairs, look no further than our Mitsubishi service center. We offer Extra Mile Service from highly trained and experienced Mitsubishi technicians, and we’re open five days a week, from 7:30am – 5:30pm. For your convenience, you can go online to schedule Mitsubishi service so there’s no wait by the time you come in. Additional perks of our service center include ASE master technicians, shuttle service, night drop/early bird drop, and dealer coupons. When you own a new Mitsubishi model like the Mitsubishi Eclipse Cross, Mitsubishi Outlander Sport, or Mitsubishi Mirage, it’s essential to make sure it delivers the kind of performance you expect. Come by Mitsubishi Store Clarksville, located 1590 Greentree Blvd, to meet our service and sales team. We look forward to helping you maintain your car, so you can enjoy driving your it for years to come.